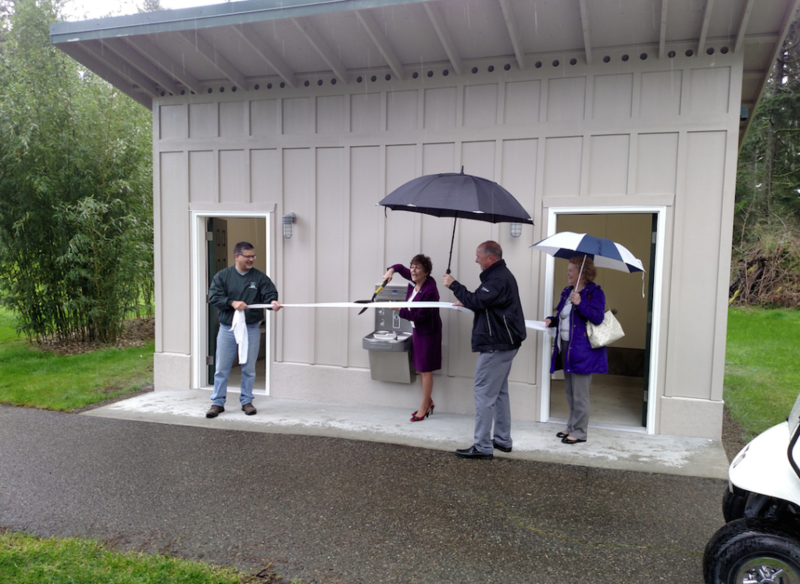 Yes, there was a ribbon cutting at a new bathroom at Gold Mountain Golf Club. No, I did not go. Reporters don’t generally get too excited about such PR events; they’re often a political photo-op about a subject we’ve already covered. In this case, I have to admit that cutting a ribbon — well, in this case, cutting toilet paper — seemed subpar for the course as ribbon cuttings go (pun intended). But several city leaders told me this was not just any bathroom. “The new bathroom has been a long time coming, and yes there are many golfers out here (as well as my entire team) who are extremely excited about our new edition,” he said. The city actually put a contract out for the bathroom replacement; bids came in more than double what the city estimated it would cost. So the city constructed the new loo in-house for about $36,000, according to interim parks director Jeff Elevado. That’s not the only improvement at Bremerton’s municipal golf complex. Gold Mountain’s also adding a new outdoor wedding venue in time for summer and extending the 5th hole on the Cascade course to make it a par 5, Matheny told me. Gold Mountain, which is managed by Columbia Hospitality, is known as one of the premier clubs in the northwest but is still saddled with a heavy debt load of around $5 million. 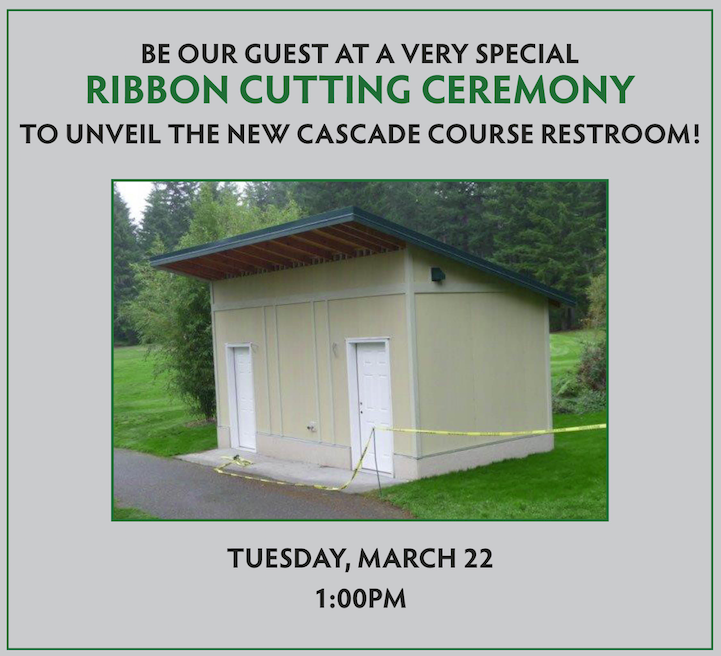 As for the bathroom: I’m told that several golfers were happy to christen the new restroom upon the completion of the ribbon cutting. OK, I’ll stop now. Daryl is awesome! He and his staff do a wonderful job and YES those bathrooms were long overdue. Also of note a very nice wood fence has been constructed out where the golf carts are stored. It makes the entire area look much better and a little more official. A huge thank you out to John Larson for bringing to the attention of the city all the violations of ADA and spacing issues that were originally proposed in the blueprints for this new facility. I am so glad he invested the time as a citizen to ensure this wasn’t another new non-ADA compliant facility built by the city. Hoping some day the paid engineers at the city become informed on ADA regulations or take them seriously. Thanks John. Thanks in large part to his many years of service on the Parks Commission. Service that I do not think was as appreciated by the leadership as it should have been. RM & CS your making me blush.